Below is a list of recommended books and magazines you might want to add to your collection while considering the design of your new timber frame home. If you know of others we should add to the list, e-mail us with your list. Click the Back button on your browser to return to the previous page. 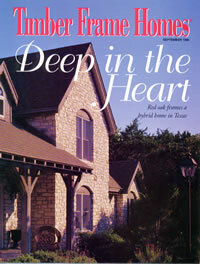 Timber Frame Homes is an excellent publication that features many homes from top builders lots of informative articles. You can find this publication at most bookstores in the magazine section. Click on the image to go to their Web site. 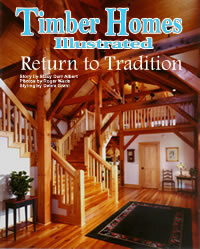 Timber Homes Illustrated is another excellent publication that you should add to your collection. You will find this to be a good resource for your portfolio. You can find this publication at most bookstores in the magazine section. Click on the image to go to their Web site.